The amazing Elly from Elly Says Opa! 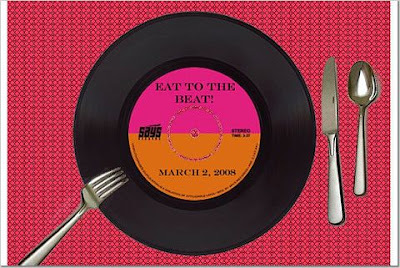 has graciously turned her blogging event, Eat to the Beat, into a quarterly event. I was SO glad to hear she would be continuing it (see my first entry here). There is just so much music to go around, there'd be plenty of material for event after event. So... what to do with my rose nectar? Two lines from the main chorus became my inspiration. Dawn, to me, brings to mind oranges and orange juice. First stop: Morning Rose Madeleines! These weren't quite as rose-y as I would have liked, but they were every bit as yummy as a madeleine should be! Center a rack in the oven and preheat the oven to 400 degrees F. Butter 12 full-size madeleine molds, or up to 36 mini madeleine molds, dust the insides with flour and tap out the excess. Or, if you have a nonstick pan (or pans), give it a light coating of vegetable cooking spray. If you have a silicone pan, no prep is needed. Place the pan(s) on a baking sheet. Spoon the batter into the molds, filling each one almost to the top. Don't worry about spreading the batter evenly, the oven's heat will take care of that. Bake large madeleines for 11 to 13 minutes, and minis for 8 to 10 minutes, or until they are golden and the tops spring back when touched. Remove the pan(s) from the oven and release the madeleines from the molds by rapping the edge of the pan against the counter. Gently pry any reluctant madeleines from the pan using your fingers or a butter knife. Transfer the cookies to a rack to cool to just warm or to room temperature. If you are making minis and have more batter, bake the next batch(es), making certain that you cool, then properly prepare the pan(s) before baking. To make the glaze, combine the milk, powdered sugar, and orange extract and mix well. Dip warm madeleines in the glaze, or drizzle about 1 Tablespoon over each madeleine. Allow the glaze to set and the madeleines to finish cooling before serving. I was happy with the madeleines (maybe not as rose-y as I'd like, but darn tasty), but I couldn't stop thinking about that message. Every rose has it's thorn. What's my rose? What's it's thorn? Right now, my rose is baking. I love it, love spending every weekend trying new recipes, new techniques, living to tell about it... and bring the goodies to work. That's where that thorn part comes in. Baking 2 or 3 different baked goods every weekend is not conducive to a slim waistline (hence, if you've been reading, my 2 week divorce from sugar). I pass it all off to my workers (no doubt I am a rose and thorn to them for the same reason!) to lessen the blow, but I certainly take my Quality Control duties quite seriously. 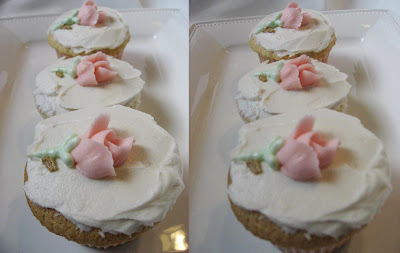 I decided to go for one more recipe...Every Rose Has It's Thorn Cupcakes (nice long name, eh?). So....What is your rose? And it's thorn? Once again, the rose flavor hides behind the orange, so maybe next time I'll skip the zest in the cupcake batter. But, these are SO light and airy and wonderful! Preheat the oven to 325 degrees. Sift the cake flour, 3/4 cup of the sugar, the baking powder, and salt into a large bowl. Use a spoon to make a well in the center of the flour mixture, and put the oil, egg yolks, water, orange zest, rose nectar, and vanilla extract in the well. Using an electric mixer on medium speed, beat the mixture until it is smooth and thick, about 3 minutes. In another bowl, with clean beaters, beat the egg whites and cream of tartar on medium speed until the whites are foamy and the cream of tartar is dissolves. Beat on high speed until the egg whites look shiny and smooth and the beaters for mines in the mixture; if you stop the mixer and lift the beaters, the whites should cling to the beaters. Slowly beat in the remaining 1/4 cup of sugar, about a tablespoon at a time, then beat for another minute after you get all the sugar incorporated. Stir about 1/3 of the beaten egg mixture into the egg yolk mixture. Then, with a rubber spatula, fold in the remaining egg white mixture. Folding over and over until no white streaks remain. Wohoo! No over-beaten egg whites! For easy pouring, transfer the batter to a pitcher with a lip. Using about 1/2 cup for each, pour the batter into the cps. The batter will come just to the top of each cup. Do not smooth the tops, let the batter remain in fluffy mounds. Bake for about 35 minutes, until the tops are golden and a toothpick inserted in the center comes out dry. The cupcakes will rise about 1/2 inch above the top of each cup. This actually didn't work out so nicely and I resorted back to scooping with the spatula after this photo. And yes, that's a gravy boat. Carefully loosen the cupcakes from the pan, cool on a wire rack until completely cooled, about 45 minutes. 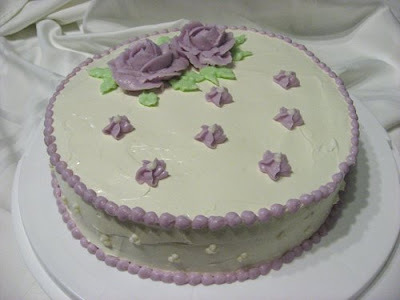 I used a simple buttercream icing with a few drops of orange extract added, to taste. Now extended! New deadline - Sunday August 10th. Wow! I am so honored to be chosen by Dani of Make No Little Meals as the "winner" of Platinum Chef Challenge #7. Along with the accolade, comes the responsibility of hosting the next round. I wanted to choose ingredients that we have not used already, and that hopefully will be attractive to a large number of people (I hate to see the numbers dwindling!). Though in the past we have done 2 week deadlines, I think with it being summer and having a holiday coming up, I'll extend it quite a bit. "Platinum Chef Challenge started as an activity on a cooking message board to encourage members to create a meal out of 5 selected ingredients. You might think they go together, and you might not. You might have used them before, or maybe not. Maybe you will have a recipe in mind, and maybe you will create a new one. Most likely, you'll put on your creative (chef's) hat and whip out something new and exciting. To play, just create a meal using the five given ingredients and blog about it. Please link back to this post, and feel free to include the event logo in your blog. The meal can consist of 1 or 2 dishes - so you can use all the ingredients in one recipe, or make two. Example: main dish + side, appetizer + main dish, main dish + dessert, etc. But, if more than one dish is created, each dish must use at least two of the ingredients (and, any ingredient may be repeated and used in both dishes if desired). You can add whatever other ingredients you like." I am really loving this new cooking group! We had another winner this week, Parmesan Chicken chosen by Megan of My Baking Adventures. This was very easy, quick, and VERY tasty! Instead of the salad greens, I tossed some roasted spaghetti squash in the dressing. It was great! I'll definitely be keeping this one around in the recipe book! Check out the other Barefoot Bloggers here to see how theirs turned out! As promised, I am back with the Mixed Berry Cobbler. This week's recipe was chosen by Beth of Our Sweet Life, and I was very excited to have yet another easy recipe! I was quite proud of myself for diving right into the dough without batting an eyelash. I made a few changes after reading comments from other bakers... I used brown sugar instead of white, and added some cinnamon and nutmeg. I cut the whole recipe down by about 1/5, and baked it in a little soup crock (which I love! ), for just about the same time as the full recipe. This was very simple to put together. Yes, I am still omitting sugar from my diet, but I snuck a bite of this to try it out. It was GREAT, even without the ice cream! I can only imagine this warmed up and topped with a nice scoop of vanilla...mmmmm! And cutting down the recipe went very smoothly, I could definitely see making myself a personal cobbler every so often when I roast some spaghetti squash (gotta love two things that bake at the same time and temp!). Check out the other Tuesdays with Dorie bakers here. Preheat oven to 375F. Cut top off of head of garlic. Spray the tops with olive oil and wrap it in foil. Roast for 45 minutes. Discard the shells of the chickpeas. Squeeze roasted garlic out of the skin, and add to a food processor or blender. Add chickpeas and blend. Add the remaining ingredients and blend, using the reserved chickpea liquid to reach the desired consistency. 2. Sift together 2 cups of flour and the yeast. 3. Add water and salt and mix well. 4. Gradually add in the remaining flour just until the dough begins to clean the sides of the bowl. Once this happens, stop adding flour (so, you might not use all the flour the recipe calls for.). 5. Knead the dough for about 4 or 5 minutes, or until dough is smooth and elastic. (While you're kneading, you can get creative and add in some herbs or spices, but only if you want to do that). Be careful not to over-knead the dough. 6. Form dough into 10 balls. 7. On a floured surface, roll each ball into a 5-6 inch circle, about 1/4 inch thick. (Be sure to sprinkle a little flour on both sides to prevent sticking). 8. Place on a non-stick baking sheet and allow to rise 30 minutes, or until slightly raised. 9. Just before you place the pan in the oven, flip each pita over on its other side. 10. Bake on the bottom rack of the oven for 5 minutes. (The instant hot heat will help them puff up). 11. When the pitas come out of the oven they will be hard, but they will soften as the cool. 12. Store them, while they're still warm, in plastic baggies or an airtight container. 13. Cut the pitas in half crosswise and stuff with your favorite fillings (beans and rice, taco fixings, thick stews, curries - anything goes). 14. Pitas can be reheated in a 350°F oven or in the microwave. NOTE: On the second time around, I added about a tablespoon of italian seasoning - wow, what a difference! It really livened them up! I definitely recommend adding your favorite herbs! No TWD: It seems I am generating a pattern! The other reason being I've given up all sugar for 2 weeks and this sounds WAY too good to resist. I'll be back in the swing next week with Mixed Berry Cobbler, chosen by Beth of Our Sweet Life! In the meantime, check out the other TWD bakers here. Thanks to Caroline of A Consuming Passion for this week's choice! I will definitely be making it in the future! Wilton Open House with Colette Peters! Here is the Wilton 80th Anniversary Cake! I was so excited to make my first BB dinner. I'd been hearing other Barefoot Bloggers say that the recipe makes a ton, so I cut it down a lot. I started with 1 cup of basil for the pesto and adjusted everything around that. It turned out GREAT, but we couldn't wait for it to cool so we ate it warm. :-) The mayo is not something I'd repeat... maybe I'll use yogurt next time or something. I didn't love that part. Otherwise, it was a great deviation from the regular marinara sauce for pasta. Thanks to Elizabeth at Ugg Smell Food for choosing the recipe! Check out the other Barefoot Bloggers here! This week's recipe was chosen by Marie of A Year from Oak Cottage, and BLESS her heart for choosing something so simple! It was my "weekend off" from the kitchen after sort of over-doing it last week, so I was trying to do as little as possible. As an added bonus, the second time seemed to be the charm with the sweet dough. It had a completely different texture this time around, and I think I was a lot closer to what it is meant to be. I cut down the recipe and made two mini tartletts out of it. This was simple to put together and I used the "forest berry" preserves that I got for Dorie's Perfect Party Cake, which I will be making later on tonight. I had 4 pounds of strawberries, so I was happy to have a place to put them! The dough is certainly not a soft dough, but was very good. Overall it was a delicious end to the weekend. Check out the other Tuesdays with Dorie bakers here. Spaghetti Squash - My New Love!